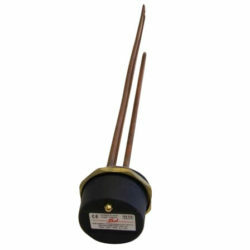 This is a 3kw, 14inch immersed length CESTB335 Incoloy Immersion Heater complete with combined (operating & safety cut-out) plug-in thermostat and is typically used within standard unvented domestic water cylinders.. 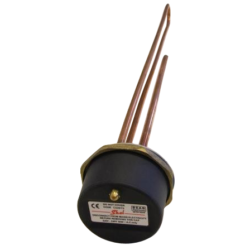 Installed products will often carry the ThermTec brand which is owned and manufactured exclusively by Heatrod Elements in Manchester. The CESTB 335 can be used in all standard domestic water areas including normal use in hard water areas susceptible to limescale. 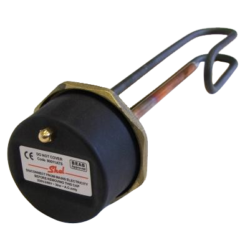 If particularly aggressive water conditions are present or the duty/usage is higher than normal then we would recommend an equivalent product with titanium element which is the CESZB340. 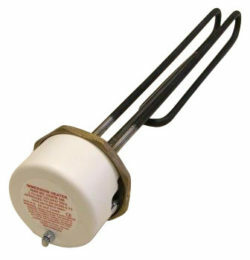 See our “Thermostats & Controls” section for more details and to purchase these products. Installation Instructions for CESTB335 can be found here. 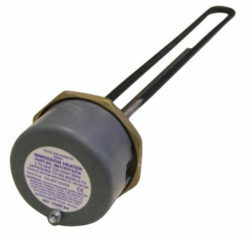 Replacement for: RPSTELIH3KW - Stelflow.